Mara said the Giants won't know if this draft presents such a player until they get closer to the end of April. PHOENIX – John Mara would like to have a quarterback of the future fairly soon. The Giants’ co-owner said on Sunday at the league meetings that he would “love” for the team to come out of the draft next month with a rookie they think will eventually take over the job from Eli Manning. It’s something general manager Dave Gettleman termed “The Kansas City Model,” based on how the Chiefs developed Patrick Mahomes from riding the bench as a rookie to the MVP of the NFL in his second season. However, that doesn’t mean the ideal situation will play out. And Mara insisted that the Giants will not reach just to fill a position that, with a 38-year-old starting quarterback, is seen by many as a need. “Here’s the thing: Show me what the grades are,” Mara said. “What’s the value there? If the top quarterbacks are graded toward the bottom of the first round or even in the second round, I’m not going to insist that we take one at No. 6 or even at No. 17. Show me what the value is. That’s always been our philosophy on that. Mara said the Giants won’t know if this draft presents such a player until they get closer to the end of April. “Until we bring these guys in and put them on the board and put the final grades on them, we’re a long way from making that determination,” he said. 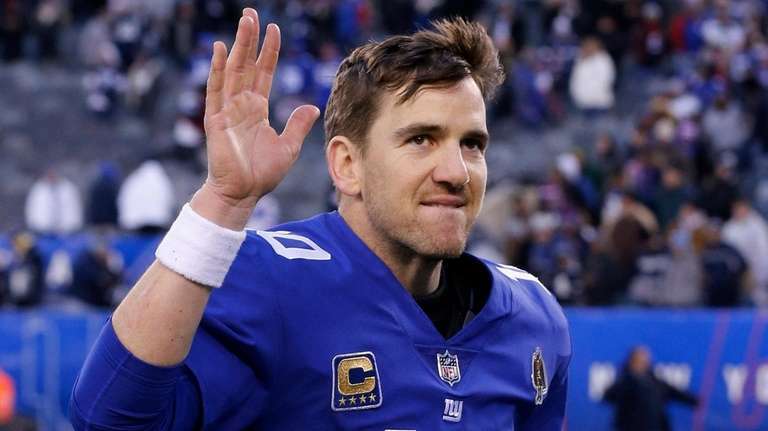 If the Giants pick a quarterback, it likely will signal the end of Manning’s tenure with the team when his contract expires at the end of the upcoming season. If they don’t, however, there is no guarantee that Manning will be back for a 17th season in 2020.